If youre looking for some action, then the Roulette is the odds on favorite to deliver complete satisfaction. With its sleek European design and silicone composition, the Roulette is 100% waterproof, Phthalate and scent free, and body safe. 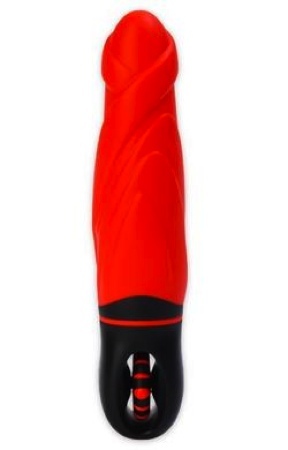 Youll also be able to parlay your action with the Roulettes flexible shaft and tip, and true multi speed motor. Theres no gamble herethe Roulette is a sensory evoking sure thing!100% European Silicone. European Motor. All European Parts. Assembled in Europe. Waterproof.True Multispeed. Phthalate and Latex free. Odorless. Powerful. Quiet. Seamless design conforms to bodys contours. Length 7.75". Width 1.50". Weight 15.7oz.